What Happens When a Raccoon Has Rabies? Fortunately, the number of human fatalities that occur from rabies has drastically reduced over the past 10 years. This is primarily a result of increased pet vaccinations, effective after-exposure treatments, and Rabies-awareness. The good news is that fewer people and pets are involved in rabid animal confrontation because wide-spread education and mindfulness has made an impact on society. The bad news is that, although humans have found a way to steer clear of the Rabies virus, wild animals such as raccoons are not so lucky. 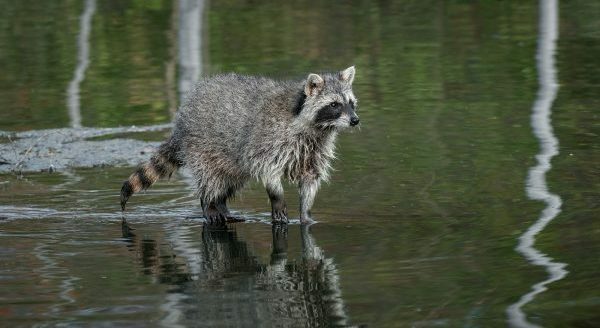 Many animals, especially raccoons, are common carriers of the virus. This does not mean they are infected, it just means they carry the virus in them. 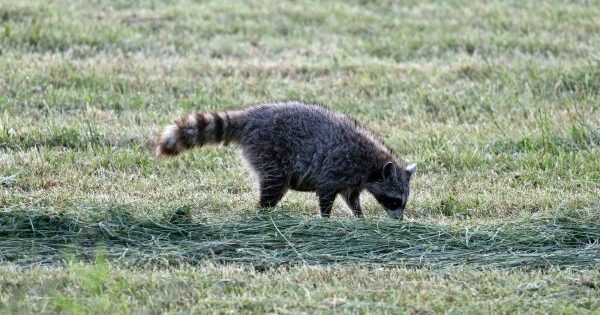 Raccoon that are in fact infected with Rabies show tell-tale signs that should come as a warning to all others, pets and people. 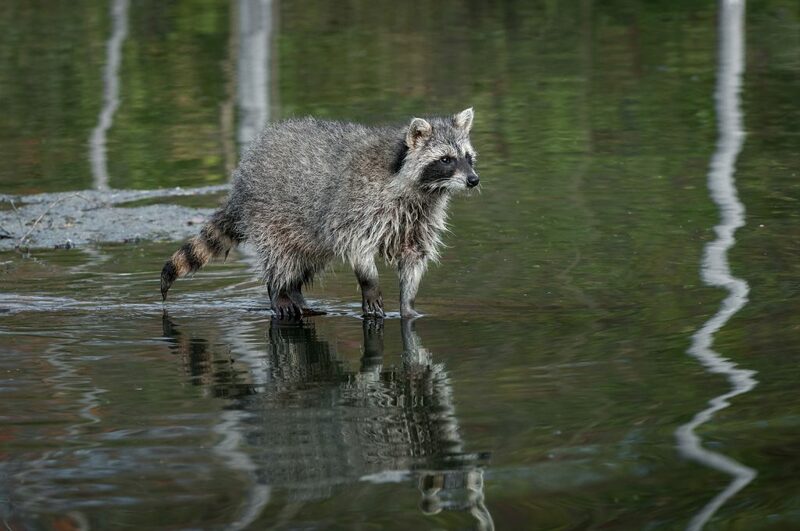 Continue reading to learn how to identify a Rabies-infected raccoon, or other wild animal, and who to call if you ever spot one on or around your property. When a raccoon has rabies, there are several signs that give it away. It is very sad to see a wild animal with Rabies because it is an incurable and unkind disease. It is a very sad and frightening sight to see, but if you do see it, stay far away. Never attempt to touch, hold, or trap a wild raccoon. Not only are there state laws that prohibit it, you can put your life and health in grave danger. It is important to know that the above signs can also be indications of other communicable diseases; such as distemper or lead poisoning. Exclusive signs of rabies do not exist, making it difficult to diagnose from afar most of the time. If you think you have rabid raccoons on your property, take immediate action and contact a local Wildlife Rescue and Control service. They retain the proper equipment, resources, and industry-training to safely and humanely remove raccoons and relocate them to a faraway habitat. 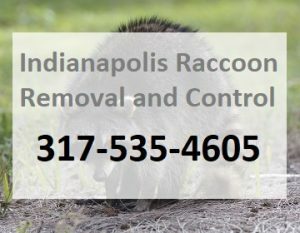 Be sure that the Indianapolis raccoon removal and control company of your choice actually uses safe and humane methods to extract raccoons and prevent their return. Also be sure they are licensed and permitted to facilitate raccoon control services. Call 317-535-4605 for 24 hour raccoon removal in Indianapolis and its surrounding counties. We are DNR licensed and insured wildlife rescue and control specialists that offer a wide range of safe, non-lethal raccoon removal services and attic restorations. Request a free estimate, today. This entry was posted in Raccoons and tagged 24 hour raccoon removal Indianapolis, Indianapolis raccoon control company, indianapolis raccoon removal, rabid raccoons, raccoons and rabies. Bookmark the permalink.